WE ARE AT 73 COMPLETE NUMBERED SETS ACCOUNTED FOR...and 1 Complete BLANK set! #105 ****(Complete, 1-7 +LSOE & TWTTK) For sale on ebay 11/13/16 end by seller samotris. #331 **** Complete I-VII + LSOE & TWTTK (ebay auction 12/9/2016-seller mantontoys1). This is an amazing piece of information Wiz, thank you for posting it. Should we put a graphic with it and add it as an "article" in the catalog? Holy Hell...Theres only one thing I can say about the shear amount of volume and information you have there...You need a girlfriend. "As for gunslingers, Roland," Cuthbert says, "I am here. 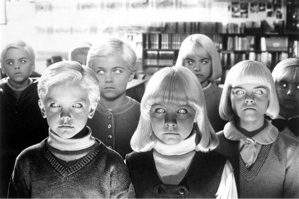 And we are the last." She says, "Lovin's all I bring"
And it's her loving that's a wonderful thing. She lays on me so relaxed. Thanks AT--I think so too. Wiz, you have done an incredible amount of work on that list. I'm quite glad to see it here. He's right, Wiz. Just don't let your wife find out. I know it has taken you a long time to compile this list. Great work! Feel free to update some of those ".net" to ".com" if you feel it appropriate. Also, I'd like to confirm that I am the "Patrick" from the Grant Books wanted page, if you want to just put TDT.com after my name on #196 and #290. I have a wife? 3 kids? Matt- I am open for a graphic, but let me look and see what I have. 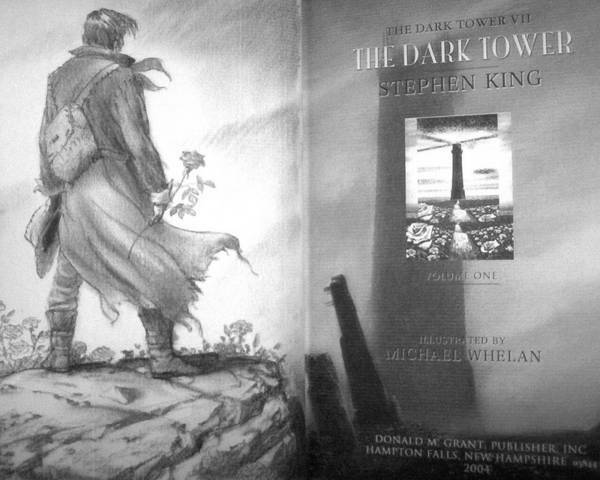 I am already thinking of my ultimate remarque with Roland standing, holding the rose, gazing at the Dark Tower (see below). And, yes, I have spent a lot of time tracking these things on eBay, the Grant want page (now long defunct), my own network of collectors, ABE etc. It is a labor of love to be sure. I love the idea of using that one for it Wiz, it works perfectly imo. I agree, it would be a nice one, it's the best of the remarques I've seen. I added the graphic. Is that what you meant? but on second thought, that graphic is pretty large so I think that will work fine the way it is. Do what you wish. It's your site after all and I'm just happy to be a contributor. Thanks Wiz--its only contributers like you that allow the place to continue. A real team job. Wow, wiz, that's a LOT of work! Very cool. Thanks. It's a labor of love really. I have moved this thread out of the catalog so it was a bit easier to access for general discussion on the topic. very cool info wiz. the calvin tower in me would love to get my hands on all of the #19's. There's a new matching set that's going for sale at Camelot Books (yesterday it was posted in the newsletter, not on the site). You might want to follow that one and see what number it is Wiz? Thanks Matt. This is a constantly, and sometimes rapidly evolving list. Already got it and updated yesterday. It was #273. Thanks for thinking of me though. Note in my original post that the seller purchased this set from gunkslinger just 2 months ago for $9,500. That would be a hefty profit if he can sell it at his asking price. I think he is about 4 grand too high in this market.